For the last week, I have wanted to put together a list of the best science accounts on Twitter focusing in particular on climate and the environment. But wow, there are so many good ones, that it’s like I couldn’t stop. In fact, there’s no way I could have listed them all. So I hope you’ll see this well-considered list, which ranges from federal organizations to non-profits, individual scientists, environmental and climate advocates, and even rogue or “alternative” Federal agency accounts, a terrific place to start. Particularly if you’re a fan of facts. When we have lots of scientific information and data from lots of different sources, it helps us make the best decisions about how we live our lives, so that we can protect this planet for our kids and our future grandkids — something I hope we all can agree on. Whatever our political leanings. And following these accounts or amplifying the information you find shows support for those incredible scientists and activists out there who are at times putting themselves on the line to make sure we’re all informed. Just know that these accounts range from pure data to upbeat factoids to wildly partisan tweets about government actions; not every account will be for everyone, but my hope is that you’ll find something new among these science accounts on Twitter that can help you commit to non-profits you believe in, read enlightening articles, or even encourage you to sign up to take action if you want to get more involved. Or maybe, there are a few that can point you in new ways to get your kids excited about science. I mean, Bill Nye! Come on! 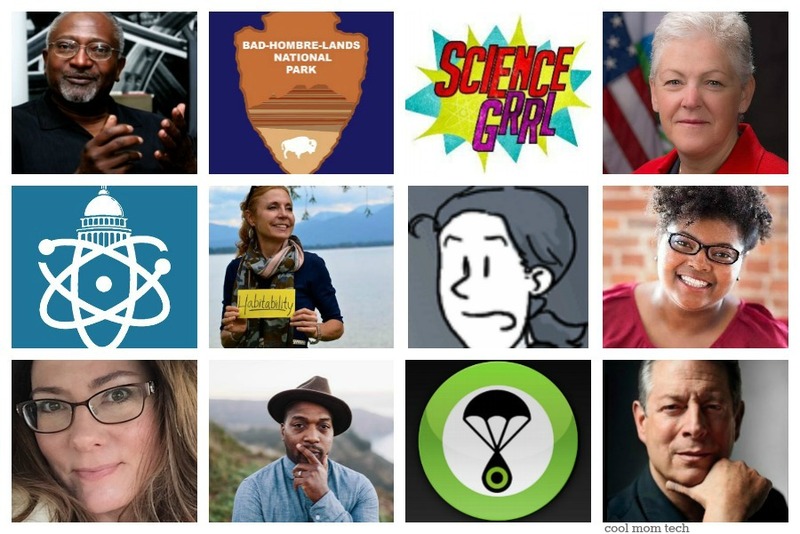 While I could never hit every single account of every single organization doing fantastic work in the realm of science, climate and environmental concerns, here are a bunch of great Twitter accounts to get you started. You’ll find official federal agencies, activist organizations, non-profits, and some excellent publications. If you’re worried about parody accounts, remember that little blue “verified” checkmark next to a lot of the biggest orgs can help guide you. Official federal agency dedicated to ensuring the preservation of wildlife. Outstanding non-profit concerned with forests, oceans, wildlife, food, climate & energy and fresh water. One of our favorite non-profits, they are dedicated to conserving lands, waters and life. Currently working in 69 countries. The largest, most influential grassroots environmental organization, founded by conservationist John Muir in 1892. Al Gore’s organization dedicated to the global prevention of climate change and investments in clean energy. Columbia University’s institute developing research, policy and practical solutions toward sustainability. Since 1970, an effective group of 2 million + members and online activists that work with lawyers, scientists and policy advocates to secure rights to clean air, clean water, healthy communities. A global movement to end the climate crisis with participation from 188 countries. Defending the integrity, honesty and accuracy of science education at the local, state and national levels. A project of @Climate Reality designed to help spread facts and correct misinformation. A journalistic collaboration dedicated to exploring the impact of climate change. San Francisco’s aquarium, planetarium, rainforest, and natural history museum. They also offer a convenient list of the individual twitter accounts of their own scientists. The official account of the UN climate change secretariat. Empowering the world to explore and understand space science, run by CEO Bill Nye. Dedicated to increasing diversity in environmental NGOs and other groups. Environmental magazine founded in 1970. Political action group focusing on preventing climate disaster while creating financial opportunity. The US branch of the global environmental activist non-profit. One of the first blogs dedicated to sustainability. The intersection of business, technology and sustainability. The longtime news org covering green issues and environmental action with wit. Wonderful account celebrating and supporting women in all branches of science. Keep an eye on this account for info on an upcoming, and fastly growing march for science. Also see the accounts they are following belonging to local sister marches planned for cities like San Francisco, Oklahoma City, Chicago, Kansas City, Raleigh; and globally, from Hong Kong, London and Sydney. There is no end to the number of individuals — whether leaders, celebrities, climate activists or lesser-known but informed experts — tweeting about science right now. 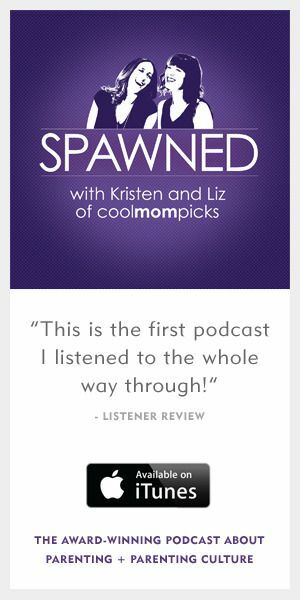 Here’s a wildly abbreviated list of a few favorites. Click over, and follow a few that seem interesting to you. Then, see who they retweet, who they follow, who follows them, and you’ll have the ability to build quite the list yourself. Remember, these are individuals, not companies or brands. So their feeds are likely to offer all kinds of content beyond science and climate data, including political tweets, humor, and your typical “what I ate for breakfast today” tweets. Former Commissioner of the NJ Dept of Environmental Protection; former Administrator of the EPA and the first African-American in the position. Her priority has been vulnerable groups who face the biggest impact from environmental and health concerns. The Science Guy. We can’t get enough of him. We originally thought this was a rogue account but no! The brilliant mind behind this popular account is Jenna Ruddock, a “geeky science journo with lots of coffee and things to say!” Tweets regarding the EPA, Interior, USDA, National Park Service, NASA and more. Executive Director of Greenpeace, creator of that awesome Story of Stuff video. Science advocate, and host of Read Science! video series. Also known as The Urban Scientist, tweets about urban ecology, evolutionary biology , diversity in the sciences, politics, and hip hop. Popular Australian astrophysicist and science writer. Huffington Post Politics editor and award-winning writer focusing on environment, science and nature. The actor is also a notable environmental activist and his Twitter feed reflects that. Client scientist for Climate Central, and Chief Science Advisor for Nat Geo’s Year’s of Living Dangerously Project. James Beard award-winning chef, now an author and activist at the intersection of food, farming, sustainability, health, activism, art, culture and the African Diaspora. Environmental author, former sustainability policy advisor NY Mayor Bloomberg, founder of the Brooklyn Academy for Science and the Environment. Influential climate scientist and professor, director of the Penn State Earth system Science Center. Notable German researcher and author on the impacts of climate change on communities, leading the Munich Climate Insurance Initiative. Named one of the top 20 women making waves in the climate change debate by the Int’l Council of Science. President and co-founder of Climate Forecast Applications Network and atmospheric science expert. The actor and director is also a climate change advocate, and his Twitter feed has a wealth of information. Most of these accounts have sprung up in the past month, as a way to stand up against censorship of the Federal employees behind official government agency accounts, in order to ensure the continued promotion of facts and science. The people behind the accounts are anonymous, as expected. And to be sure, not all of the rogue accounts I’ve seen are thoughtful and consistent, so I haven’t included them here. This list of rogue or alternative climate and science Twitter accounts includes those I see tweeting with authority and knowledge; in fact many claim to be helmed by whistleblowers, experts in the field like climate scientists or forest rangers, as well as current and former civil servants with first-hand knowledge about information they feel should be shared in the public interest. Of course because most of them have only been up for a week or two, it remains to be seen whether they’ll all keep it up. I hope so. The unofficial “Resistance” team of NASA, not managed by government employees. A resist sect of NASA and not an official NASA channel with a focus on climate data. News, links, tips, and conversation about the EPA that will not appear on the official feed. The unofficial “resistance” team of of the US EPA. A 2-year-old, unofficial NPS account run by non-government individuals providing facts (and pointed rebuttals to false information) on science and climate change. Uncensored tweets concerning the Food & Drug Administration, support for other rogue science accounts. The unofficial resistance team of U.S. National Weather Service, not managed by government employees. Weather, water, and climate info. Run by a former US Forest Service Ranger and teacher to support National Parks, John Muir and climate science. Unofficial account providing research on climate, oceans, and marine resources. In dedication to the official @BadlandsNPS account which first tweeted non-political climate facts before having those tweets deleted, this rogue account sprung up with tweets on everything from FDR quotes about protecting our forests, to environmental concerns, to gorgeous user-shared photos of the real Badlands National Park in South Dakota. There are so many fantastic science Twitter accounts out there, and if you have a favorite we missed, in particular regarding the environment and climate change, feel free to share it in the comments. Thanks Paul! Appreciate the work you do.